The German shepherd is an adaptable breed assisting humans in many situations and activities, such as the animal-assisted therapy. The dogs intended for this use are properly trained and they are guided by a professional trainer together with a psychologist. The animal-assisted therapy envisages the use of dogs to restore people to health and preserve their condition through an interpersonal relationship between humans and animals. This method may also be called “gentle therapy” because of its beneficial effects on patients’ psycho-emotional health. It is effective in reducing anxiety, stress and making up for emotional deficiencies. In our centre you can arrange individual or group meetings with a psychologist for children and adults, especially autistic people with mental retardation and psychophysical disabilities. In the past years, some projects have shown that the animal-assisted therapy can achieve very promising results in people with relationship problems, cognitive disorders, mobility impairments and depression. 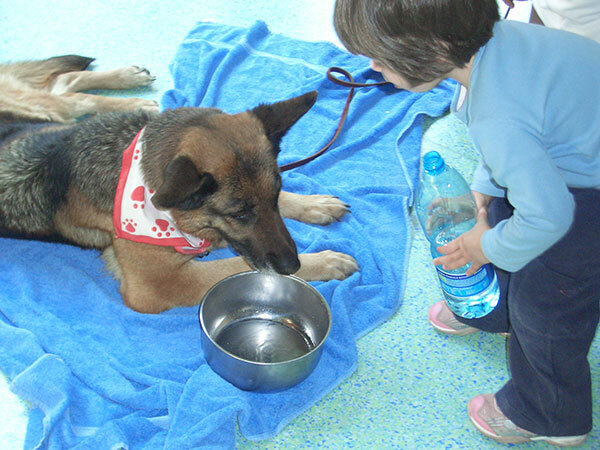 The animal-assisted therapy can also be part of a new prevention project for children. 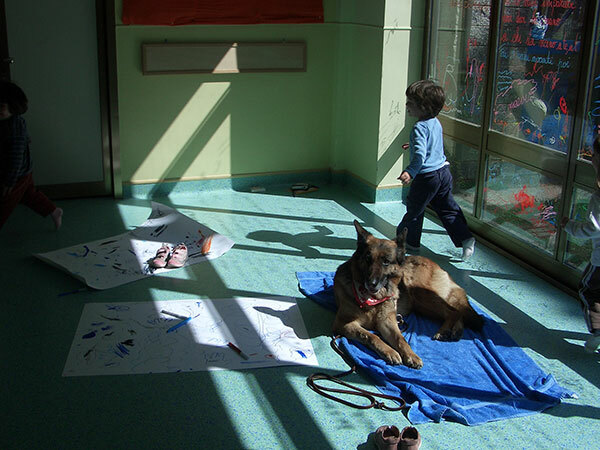 During these meetings we mean to teach them the language of dogs and how it is to be understood, so that children relate to the animals respectfully and responsibly, avoiding any trouble.